You can hear the wind howling in the ghost town next to the Chuquicamata mine in Chile's Atacama Desert. Some 2,800 metres above sea level, abandoned houses and shops display “no entry” signs. Placards on the road warn the path ahead is closed. This town used to be home to 25,000 people working in the world’s largest open-pit copper mine. But in February 2008, the last family living here moved away. 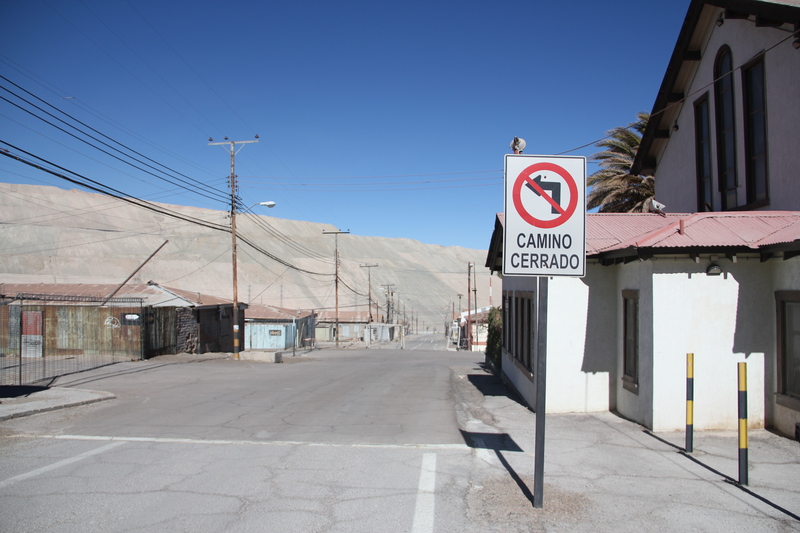 Pollution from the mine was so severe the area was deemed unsafe for human habitation and the Corporacion Nacional del Cobre de Chile (CODELCO), Chile’s largest company and copper producer, relocated employees and their families to the oasis town of Calama – 17 kilometres away through the desert. The town might be empty, but the mine is still working at full tilt. It forms part of the CODELCO machine that churns out copper to satisfy the increasingly specific demands of its biggest buyer, China. “When CODELCO grows, Chile develops itself,” goes the company motto. The firm employs about 67,000 people (directly and indirectly) and owns the world’s largest copper reserves, reaching 77 million metric tonnes, or 20% of the planet’s total. It also claims to account for 10% of global copper production, or 797 million tonnes. Producing the sought after high-grade metal uses pollution-intensive methods, so higher demand for fine copper from China is also increasing the pressure on Chile's environment. After extracting copper rocks from Chuquicamata, the smelting process uses temperatures of 200 degrees Celsius to separate copper from the sulphide and oxides it contains, leaving just the metal behind. The refined product is then put into a mould and turned into concentrated black powder, or shipped off to China in blocks. This process emits large quantities of trace elements, particulate matter and sulphur oxides, which can have adverse environmental and health effects. “The smelting process contaminates the air a lot,” says Candia, as he explains the extraction process in the ghost town’s library. The winds of the Atacama Desert further act to lift particles from the soil and circulate toxic gases generated by copper extraction. “Clearly with the increasing demand for copper from China, there will be more contamination of the environment,” says Yery Luza, an ecologist in the environment department of Calama municipality. He points to the Gabriela Mistral mine which sells everything it produces to China, amounting to more than 128,000 metric tonnes of fine copper in 2013. Pollution here, he says, is testament to how narrowly focused on metal extraction the local economy has become. “Undoubtedly, there has been in the past 50 to 60 years a strong contamination of the air, the land and the water in Calama. Initially, the city was an important commercial route for Chileans from the interior of the country. Agriculture was also an important industry. This zone has now become exclusively mineral due to foreign pressure,” says Luza. A 33-year old environmental engineer named Orlando tells me he used to monitor the air quality of the Chuquicamata mine. He worked for three years in the town he now describes as “horrible”. “The air quality was not good at all,” he says as he drives a group of tourists from San Pedro de Atacama to the Moon Valley, a busy destination where not a single drop of water has fallen in hundreds of years. He now works for his family’s travel agency in northern Chile. Water is a major concern. Copper extraction requires large amounts of it and this is a significant drain on resources in the Atacama Desert, known as the driest place on earth. “In the industrial process, sulphuric acid is used with water and a lot of water evaporates,” says Luz. “The quality of the water for the agriculture sector has also been affected." Then there are the trucks conveying copper and waste out of the mines. In Chuquicamata, hundreds of them come and go 24 hours a day, seven days a week. The larger ones, imported from Germany, carry up to 400 tonnes, while the smaller Japanese models take 330 tonnes. “There are 400,000 tonnes of waste to remove daily,” says Candia. Trucks in the Chuquicamata mine consume three litres of diesel per minute, he adds. Although CODELCO invested US$181 million in security and occupational health projects in 2013, Chileans still suffer the environmental costs of high levels of copper production. Extraction and refining have generated serious health problems for miners, from asthma to weakened immune systems. Visiting the Chuquicamata mine is forbidden for children under six and pregnant women. “Many workers got sick and had silicosis. The temperature is too high in the mine. Some people died because there were not any norms of security. Today there are,” says Orlando. Rapidly urbanising China consumes around 40% of the planet’s copper supplies, which it uses to make technological devices, electric cables, cars, motorcycles, refrigerators, plumbing lines and much more. Such demand is reflected in Chile’s statistics: in 2013, trade between China and Chile was up by 22% on 2005 figures, when the two countries signed a free trade agreement. In 2012, 80% of Chile’s exported copper went to China, reaching US$14 billion. On a visit to the South America nation in the same year, then Chinese premier Wen Jiabao said the two governments planned to double bilateral trade to US$60 billion by 2015. The “growth [of bilateral trade] is consistent with the rate of expansion of copper during the same period”, points out a report by the General Directorate for International Economic Relations, part of Chile’s Ministry of External Relations. It is clear that the country’s economy is highly dependent on copper exports to China. 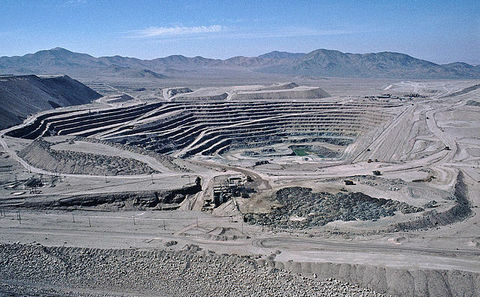 A 2013 report by the United Nations’ Economic Commission for Latin America set out that about 85% of exports to the Asian giant are metals, of which the majority is copper. Chile may be one of the region’s richest countries, but its exports are far from diversified – 7% of Chilean gross domestic product now comes from the copper it ships to Chinese ports. Chile isn’t the only country supplying China’s mineral needs. In April this year, commodities giant China Minmetals reached a US$5.85 billion deal to buy one of Peru’s largest copper mines. The Las Bambas mine is one of the largest foreign acquisitions to date by a Chinese mining company. When it starts operations in 2015, it is forecast to produce 450,000 tonnes of copper annually for the first five years. This would make China Minmetals one of the world’s top 10 producers of copper. Chinese state-owned companies are already the main copper producers in Peru, with total investment topping US$19 billion dollars, according to the National Society of Mining. But these players are developing a reputation for environmental laxity in the resource-rich region. In March 2014, for instance, Peruvian authorities sanctioned Chinalco Mining for pouring toxic waste into rivers. The Chinese mining consortium had to shut down operations at its Toromocho copper mine. In the north of Chile, meanwhile, geologists have discovered another kilometre-deep layer of copper, which would enable the South American nation to extract copper for 50 more years, explains CODELCO’S Diego Candia. As long as China keeps up its appetite for copper, Chile looks set to keep digging – and polluting.